November 28, 2017 / RLAHSWEB / Comments Off on Caboose Tshirts are Here! 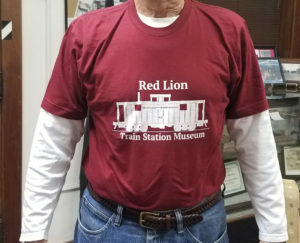 Get your Red Lion Caboose tshirt! Maroon and light gray. Sizes M,L,XL, and XXL. $25 for size XXL and $20 for all other sizes. Pick yours up during the Open House dates listed in the previous post! 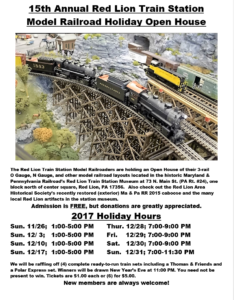 November 28, 2017 / RLAHSWEB / Comments Off on 2017 Open House Schedule! 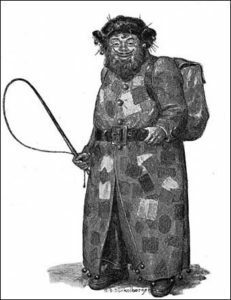 Please join us on Nov 16, at 7:00 to hear Mr. Scott Butcher’s presentation “Belsnickel & Belly-Guts: Holiday Traditions of the Pennsylvania Dutch.” We meet at St. John’s UCC, 161 N Main Street, Red Lion, PA. Parking is behind the church and we meet on the ground level of the building. Our meetings are free and open to the public. We’d love to see you! The Red Lion Area Historical Society will host another of their Speakers Series with a program on October 23, 2017, at 7:00 p.m. Rev. Dr. Stephen Nicholas Jr. and Terrence Downs will be the guests. The meeting will be at St. John’s Church, 161 North Main Street, Red Lion. The meeting room is on the ground floor, accessed from the parking lot behind the church. The meeting is free and open to the public. 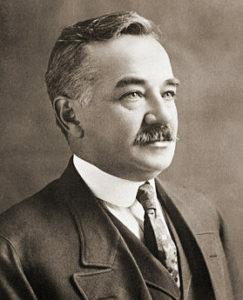 Smith’s first patent was granted for a mechanical washing machine invented in 1870 which he called the “Success”. 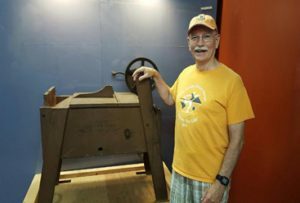 The Success was the first commercially successful washing machine and earned thousands of dollars for Smith. One of four existing machines is on display at the Agricultural and Industrial Museum in York. His third patent, issued December 16, 1876, was for an improved water turbine also named the “Success”. This turbine became the foundation of Smith’s industrial empire. The Rev. Dr. Stephen Nicholas Jr. is a retired Moravian Minister, a member of First Moravian Church in York, where S. Morgan Smith served as pastor from 1861-1866, and a distant relative of Smith. Rev. Nicholas has recently completed a biography of Smith, titled, “Reinventing the Wheel, the Incredible Story of S. Morgan Smith, Minister, Inventor, Industrialist.” Local historian Downs is a native of York and graduate of Central High School. 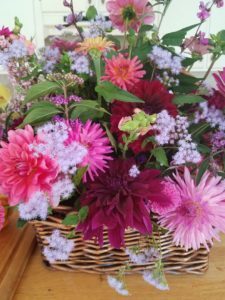 He is an heritage environmental artist and advocate, columnist for the York Sunday News, consultant for the renovation of the Yorktowne Hotel, and member of the board for the Goodridge Freedom Center in York. Please join us this Sunday, Sep 24! You get a delicious meal and we get a percentage of your check. It is a win-win! You must print out the message below and print it with you for your meal to count. We are excited to team up with Hoss’s Steak and Sea House to raise money for a very worthy cause. Please consider visiting the Hoss’s location(s) listed below on 9/24/2017 to aid us in raising money to benefit Red Lion Historical Society. *To qualify for the 20% payout, our group must have a minimum of $300.00 in total pre-tax food and beverage sales. **To qualify for the 25% payout, our group must have a minimum of $1,200.00 in total pre-tax food and beverage sales. This applies to a one-day, single location, pre-scheduled event. The purchase of gift cards is not included as part of your organization’s community fundraising totals. DISTRIBUTING INVITATIONS ON HOSS’S PROPERTY IS STRICTLY PROHIBITED AND WILL DISQUALIFY OUR ORGANIZATION! Thank you for your cooperation! Please print and present this email when ordering. See the attached file for the entire Community Night agreement. On September 28, 2017, we will present Ms. Jennifer Henderson, archivist from the Milton S Hershey Foundation, who will speak on Before there was Hershey, Milton Hershey and Lancaster. She will tell us about Mr. Hershey’s early years. We will learn about HB Reese, local York County candy man too! He got his start in the Bridgeton/Woodbine area and some of his relatives belong to the Red Lion Area Historical Society! Please join us. All meetings, unless otherwise noted, are held at St. John UCC on North Main St and begin at 7:00 P.M. Parking is available off the alley behind the church. The lot can be accessed via East Gay Street. Please feel free to invite friends and family. These events are open to the general public totally free of charge. The Red Lion Area Historical Society will hold its regular monthly meeting on May 25, 2017. The featured speaker will be railroad buff, Walter Holloway. He will share the history of the narrow gauge railroads. 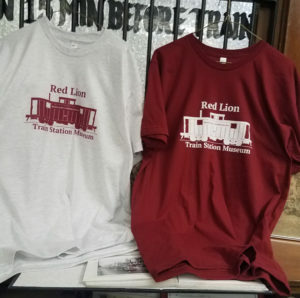 They eventually were merged to create the famous Ma and Pa Railway that was so influential in the growth of the communities of southern York County. The meeting will be held at St John’s UCC, 161 North Main Street, Red Lion, at 7:00 pm. Entrance is off the parking lot behind the church. All meetings are free and open to the public. Thank you to everyone who registered for our Spring Banquet! We have received raffle prizes from Utz, Shady Maple, Dawn Foods, Weis Markets and AF Barnett. If you have the opportunity, please patronize these businesses. We certainly appreciate their generosity. Don’t forget your lucky charm Friday night–you would love to win one of these prizes! Parking is behind the church. Enter the door off the lot. We will cancel the meeting if Red Lion School District cancels or dismisses classes early.